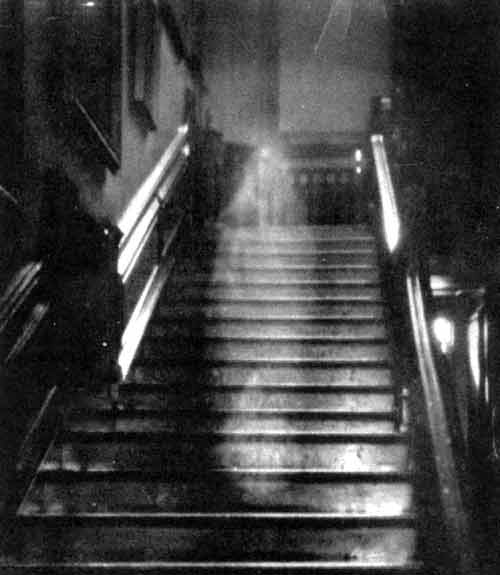 Probably the most famous and most authentic of all ghost pictures, the Brown Lady would be Lady Dorothy Townsend, living in Norfolk, England in the early 1700's. It was taken in 1936, during a photo shoot for Country Life Magazine at Raynham Hall in Norfolk, England by Captain Provand and Indre Shira. The photographer saw her coming down the stairs, and began yelling to Shira, who could not see anything, and thought he was delusional. She is known as The Brown Lady due to reports of the spirit being seen wearing a brown brocade dress.